This tais is from Ira Ara Lautem. It is also known as sica o'o mimirike, which refers to the red stripes. The red colour is traditionallly made with the plants known locally as rufa and rook-rook (F). 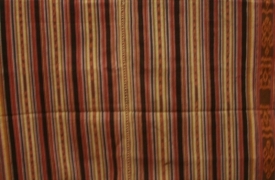 The ikat motif on this cloth is keu or kelu (bracelet). 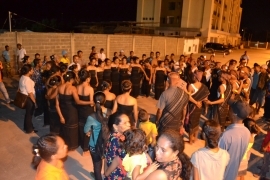 The cloth is worn and exchanged as part of a marriage negotiation. 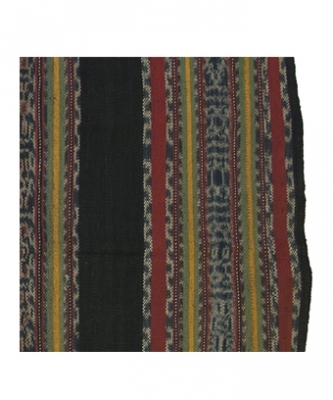 The male equivalent cloth is sica caru naku (see TA0022 for the related male cloth. This cloth would have taken over one month to make, and would have been used by families of high status. Handspun cotton and natural and synthetic dyes. 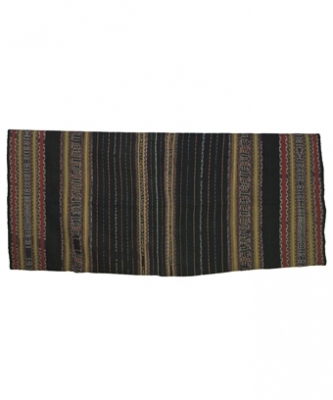 Resist dyed single warp ikat woven on a back strap loom.